Colby recently decided that he can cook! This is very exciting news for our household because I’m usually the one doing all the food prep. Colby’s specialty is grilling- he boasts that he can cook a perfect hot dog, sausage, or burger patty. When I pointed out that these are all pre-seasoned items and it really takes little more skill to grill a sausage than to microwave a frozen entrée, he stepped up his game. He bought a steak seasoning blend and flavored up some steak for the grill. Turned out awesome! Next up, I challenged Colby to grill some salmon. This was partly to give him something new to try, but mostly to use up some of the three giant bags of salmon filets we have in our freezer from a recent Costco haul. Couldn’t pass up the great deal! Anyway, I made the marinade and he worked his manly grilling magic. You can buy a bottle of marinade or dressing at the store, but it’s typically less expensive, healthier, and more delicious to make these kitchen staples from scratch. 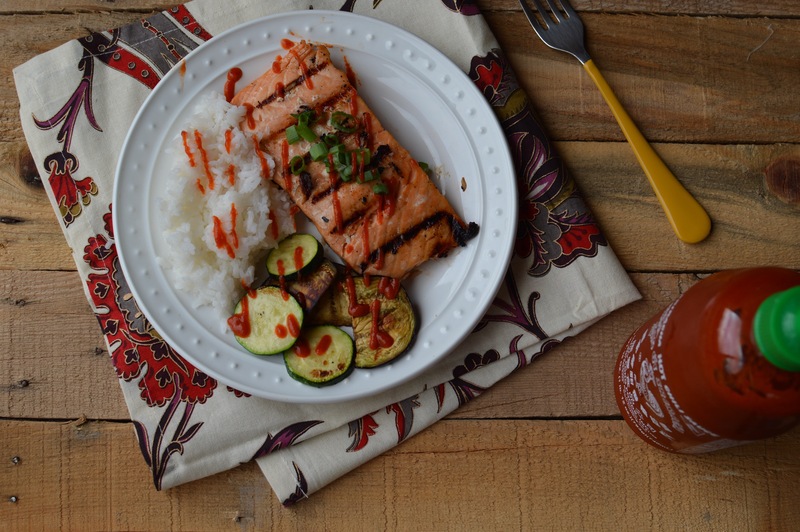 Here is a flavorful Asian-inspired salmon marinade I like to use on salmon. If you use it on fish, only let it soak for 1 hour because fish flesh absorbs salt and flavor very quickly. If you’re using it on chicken or steak, you can get away with 8-12 hours (maybe more) of soaking. 1. Whisk all ingredients together in a bowl or shake together in a jar. 2. Transfer to a large zipper bag or a shallow dish for marinating the fish, poultry, or meat. 3. Marinate fish for 1 hour, meat for 2 hours, or chicken for up to 24 hours. 4. Remove the meat, poultry, or fish from the marinade, and grill or bake as desired. Discard excess marinade. 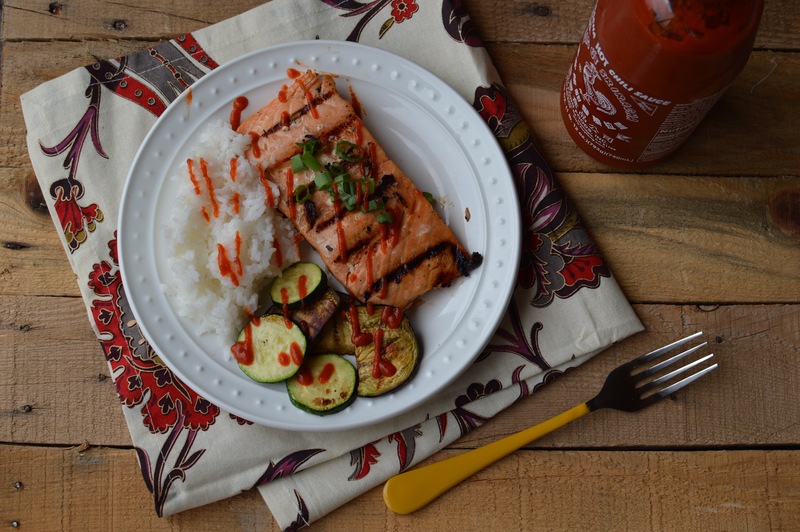 We grilled the salmon on hot, lightly oiled grates for about 4-5 minutes per side. It was flakey and caramelized on the outside, but not overcooked on the inside. I’ve made it in the oven before, too. Bake on a tinfoil lined baking sheet for 15 minutes at 400 degrees.